For a tasty, light casserole dish that’s easy to make, this skinny zucchini casserole is a great choice. Making 6 servings, it works well whether serving at a family meal or bringing to a gathering. It’s not only healthy and delicious, but it looks lovely as well, making it a great dish all-around. After making this zucchini casserole, please feel free to share the recipe with family and friends on Facebook, Pinterest, Instagram, and Twitter! To make, you’ll need to gather 4 egg whites, 1 clove of garlic (minced), 2 teaspoons Dijon mustard, 2 tablespoons chopped basil (or 2 teaspoons dry dill weed or Italian seasoning), ¾ teaspoon salt, ½ teaspoon pepper (freshly ground), 1 cup No Fat Cabot Cottage Cheese, 6 ounces Cabot Seriously Sharp Cheddar (shredded), and 2 ½ pounds zucchini (cut into &frac13;-inch thick half-moons). Begin by preheating oven to 350°F and coating a 2 ½ quart baking dish with cooking spray. In a large bowl, whisk together egg whites, Dijon mustard, herbs, salt, and pepper. Then add No Fat Cabot Cottage Cheese and 2 ounces Cabot Seriously Sharp Cheddar, followed by zucchini, stirring to coat. Transfer mixture to prepared baking dish and bake in oven for approximately 45-50 minutes. You’ll know it’s ready when the zucchini is just tender, the casserole is bubbling, and the cheese is a nice and golden on top. Before serving, let sit for 10 minutes. Then dig in! Want another casserole recipe that’s a keeper? Try this scrumptious Cheddar Green Bean Casserole recipe and you’ll be in casserole heaven! 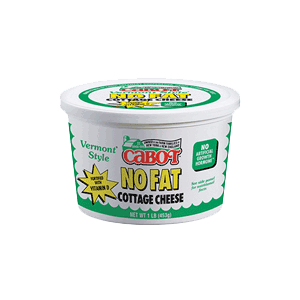 As a cooperative of over 800 farm families, Cabot takes a lot of pride in making our award-winning dairy products. 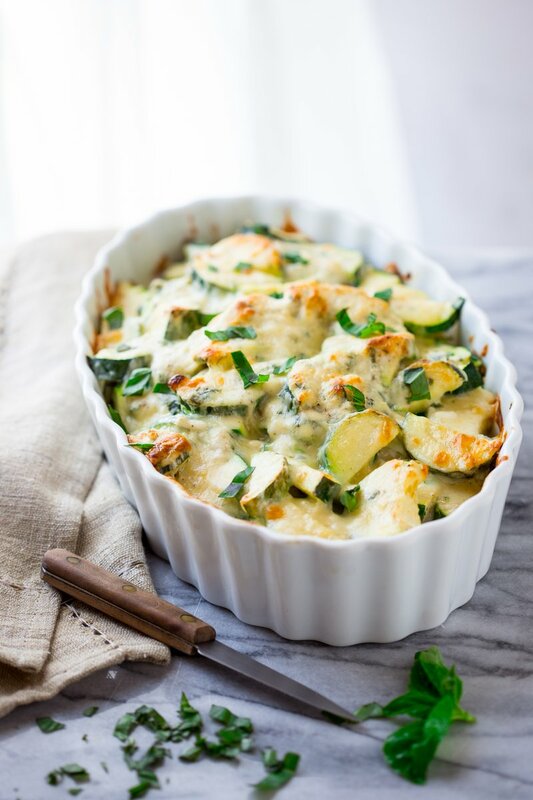 We’d love to hear your thoughts about this skinny zucchini casserole recipe, so please rate and review it once you’ve tried it. PREHEAT oven to 350° F. Coat a 2 ½ quart baking dish with cooking spray. WHISK egg whites, garlic, Dijon, herbs, salt and pepper in a large bowl. Add cottage cheese and 2 ounces (½ cup) cheddar cheese. Add zucchini and stir to coat. Transfer to the prepared baking dish. 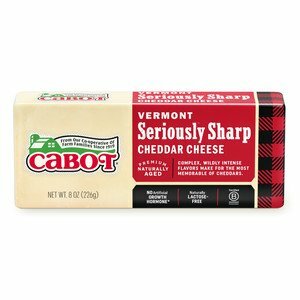 Sprinkle the remaining 1 cup Cabot Seriously Sharp Cheddar Cheese on top. TRANSFER to the oven and bake until the zucchini is just tender, the casserole is bubbling and the cheese is golden on top, 45 to 50 minutes. Let sit 10 minutes before serving with a slotted spoon. Really really good and easy to make. Absolutely delicious! I made with full fat cottage cheese & 2 eggs instead of egg whites and used 1 & 3/4 tsp of Italian seasoning. Maybe less salt next time but it is a great dish and is delicious with homemade Italian pasta sauce on top! Thank you Cabot! This one is a keeper!